What are step-up SIPs and why is it a good time to start them? While you can always make a plan having equal monthly investment (SIPs) over time, a more proactive approach would be gradually increasing your SIP on an annual basis as your income increases. Systematic investment plans (SIPs) give investors the best of disciplined investing and rupee cost averaging. But, here’s the catch. An SIP is a constant saving plan, but your income will normally increase over time. As you earn more, you need to save more and also invest more. While you can always make an investment plan after an increase in income, a more scientific and proactive approach would be gradually increasing your SIP on an annual basis. This is called a step-up SIP. How exactly does a step-up SIP work in practice? A step-up SIP entails automatically increasing your monthly SIP contribution on a half-yearly or yearly basis. Typically, if an individual gets her increment in salary around April each year, then the SIP can be structured to step up every May. • In a fixed rupee step-up, you step up your monthly SIP on rupee basis each year. For instance, you can start a SIP of Rs10,000 per month and then step up by Rs3,000 each year. Over the next 5 years, the monthly SIP contribution will be 13,000, 16,000, 19,000, 22,000 and 25,000. Don’t be too aggressive in stepping up your SIP as it should not become a financial burden on you. • In a percentage step-up approach, you can start an SIP of Rs10,000 per month and then step it up by 20% each year. Hence, over the next 5 years the monthly SIP contribution will be 12,000, 14,400, 17,280, 20,736, and 24,883. In percentage step-up, you must be cautious because the pace of SIP increases rapidly in later years so you must be financially prepared for that. The fixed rupee accretion is more preferred compared to percentage accretion as it is simple to understand and execute. Are there any unique advantages to a step-up SIP? 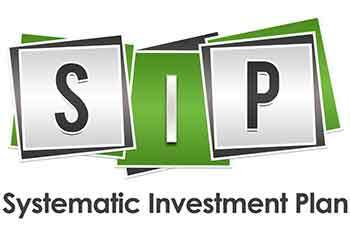 • A step-up SIP helps the investor better synchronize the SIP outlays with the income profile, as it increases over time. • Step-up is an in-built discipline enforcing mechanism. In the process, you are forced to save and invest a higher amount consistent with your rising income profile. • The step-up formula is determined in such a way that your investments increase with your capacity to save. This is the key to long term wealth creation. Do step-up SIPs generate more wealth than fixed SIPs? There are two ways that we can approach wealth creation. The first approach is to look at the total wealth created in rupee terms over a longer period of time. Obviously, the wealth creation in rupee terms will be higher with a higher contribution, so a step-up SIP will accumulate more wealth. The other approach is to look at it in terms of the wealth ratio (ratio of final value/total SIP contribution). Let us understand this aspect with an illustration of a person who starts a SIP of Rs10,000 per month and then steps up the SIP annually. There is a paradoxical situation here. You would expect the wealth ratio to go up with higher contribution but the reverse appears to be happening. Why is the wealth ratio falling as your step-up amount increases? • As you increase the annual step-up amount, the wealth ratio comes down. That is because your stepped-up SIPs are happening for a shorter time period and therefore, the power of compounding is not working proportionately. • The wealth ratio of the static SIP is higher because the distribution of SIP is even. It is also because the investment outlay in a static SIP is much lower and that makes the wealth ratio look inflated. Is this the right time for a stepped-up SIP? The point to remember is that step-up SIPs are not just about the wealth ratio which will be skewed towards smaller contributions. They are more about synchronizing your investments with your rising income chart. The logic of a step-up is that as your income increases over time, a greater proportion needs to be allocated towards savings and investment rather than towards conspicuous consumption. As a wealth creation measure, a step-up SIP is the right approach. But, is it the right approach now? The market conditions present a unique picture. The index is down around 13% from the peaks but select mid and even large-sized stocks have corrected 40-60% from peak levels. A step-up SIP at this point of time gives you the advantage of spreading your SIPs over stocks at more attractive price levels with greater margin of safety. Rather than the safety of index funds or the volatility of mid-cap funds, one can look at the relative smartness of multi-cap funds for stepped-up SIPs. You may end up hitting two birds with one stone.